This 26,000 sq. 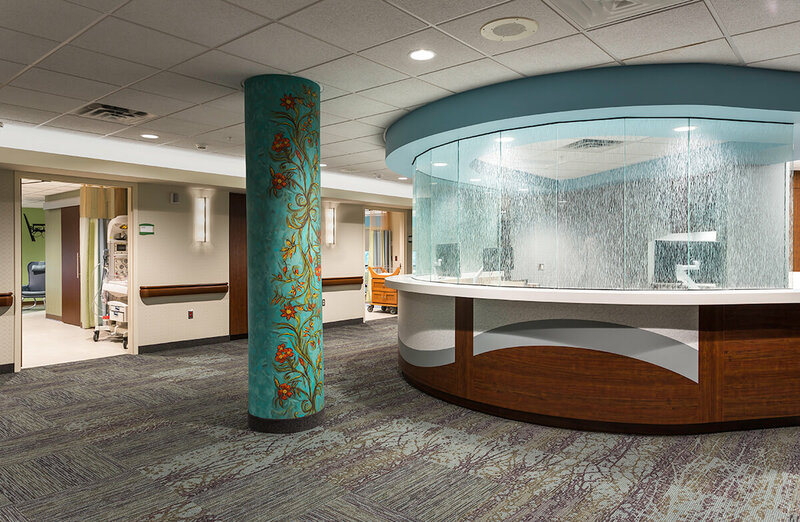 ft. project included the development of a boutique, hotel-like environment within a competent healthcare care delivery setting. The center takes on a motif lightly centered on gardens and nature. 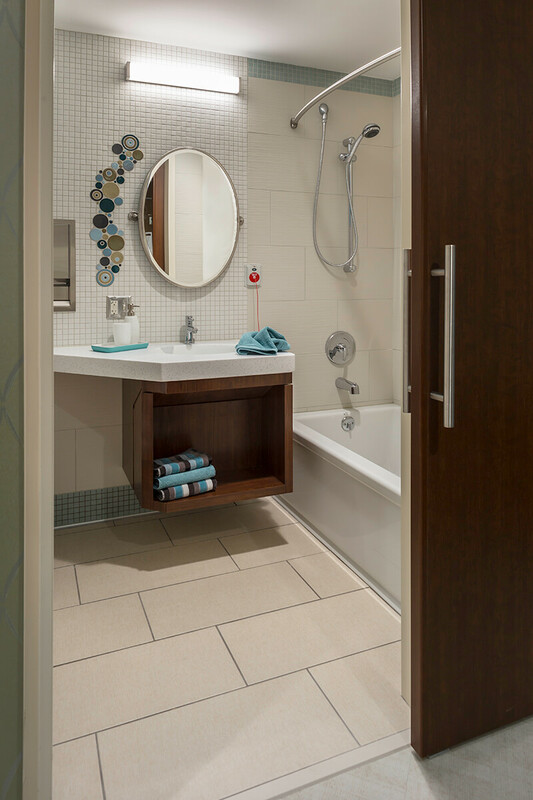 A custom painting was developed by one of our interior designers specifically for this project and is being used to create custom wallcovering and a custom glass film. 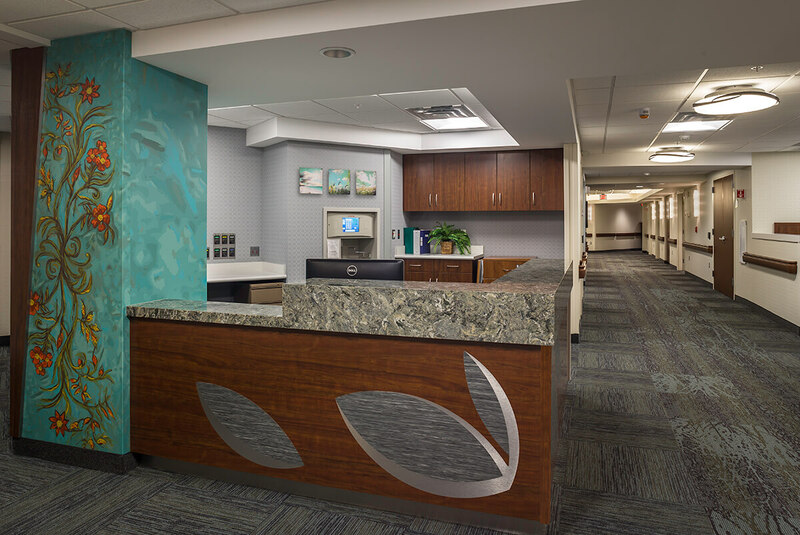 Natural cherry wood with cool blue and green tones compliment the abstract floral pattersn and organic lines. The project was developed in two phases in order to remain operational during construction. 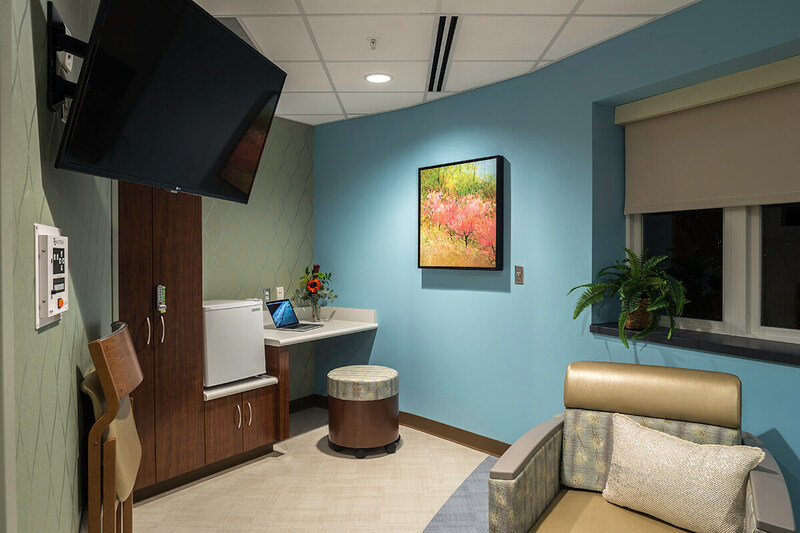 The first phase included 8 patient rooms to be used for new moms and other female patients, as well as a birthing tub, and educational nursing room. 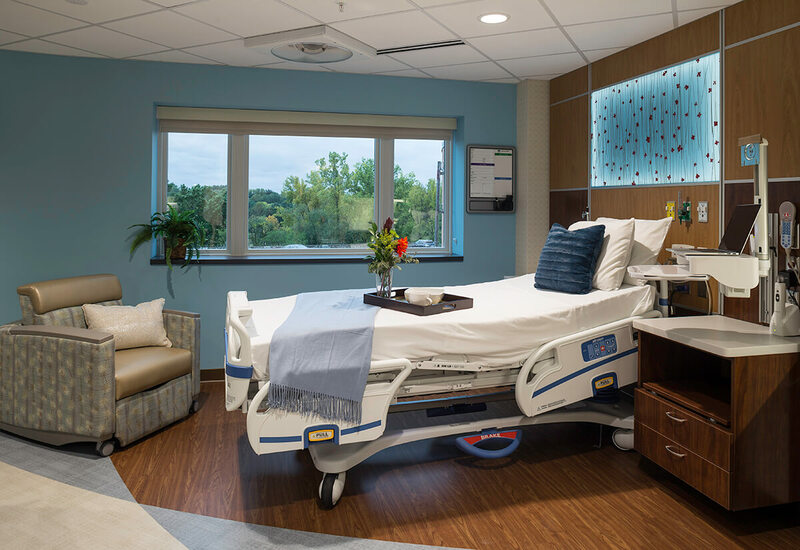 Phase 2 included 6 labor and delivery rooms located within a challenging circular floor plate, with a central nurse station that offers views into each LDR room. 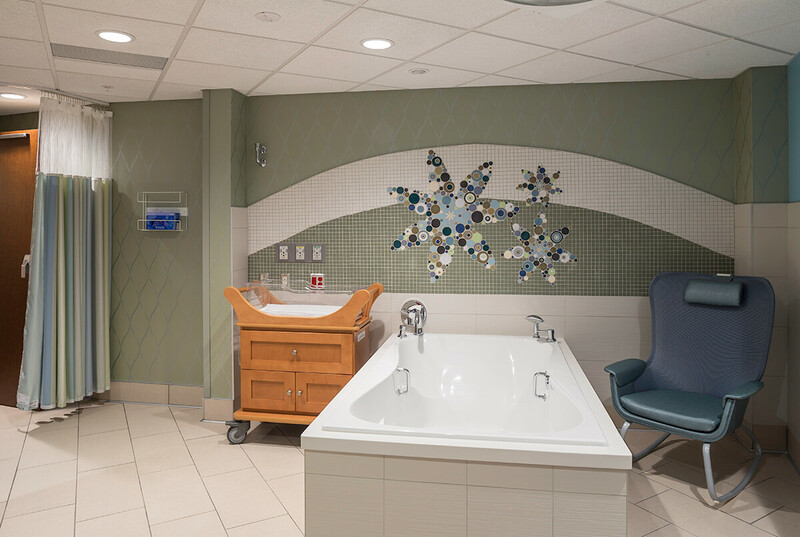 A Level II Nursery, Nutrition Room and Waiting Area were also included in this phase of work. 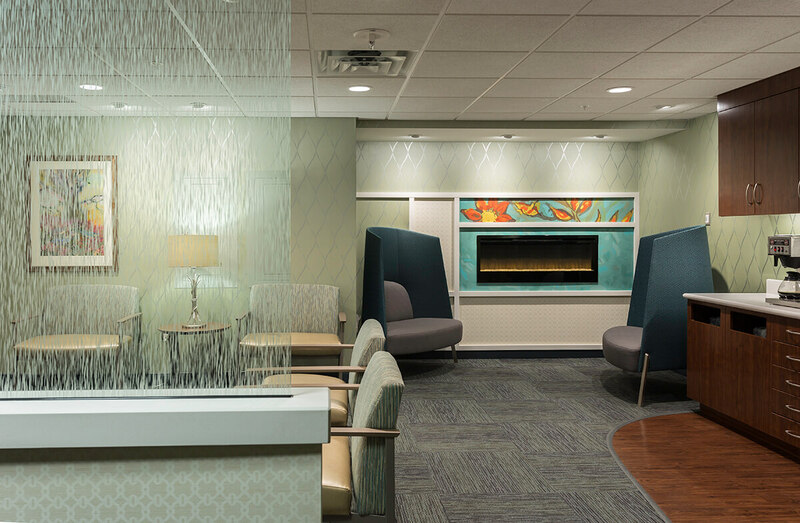 The expansion and upgrade will allow Lakeview to meet patient demands in an updated and comfortable environment.